Ashes of the Singularity: Escalation is a real-time multiplayer strategy game set in a distant future where humanity has expanded into the stars and is now in conflict for control of key planets in the galaxy. There are two sides embroiled in the war: The Post-Human Coalition (PHC), a collective of humans who have embraced the technological singularity, and The Substrate, a collection of rogue AI beings led by one called Haalee. You must choose a side before you enter the war. In order to start building your army, you must conquer the world’s regions and harvest the resources they contain. 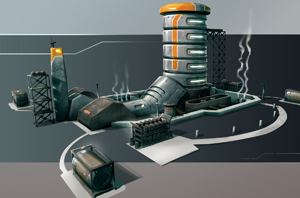 To win, you must either annihilate all of your enemies’ Nexuses or take control of and hold specific regions that contain buildings called Turinium Generators. By achieving a critical mass of Turinium before your opponents do, you will take control of the world and win the game. This resource is your raw construction material for most basic buildings and units. 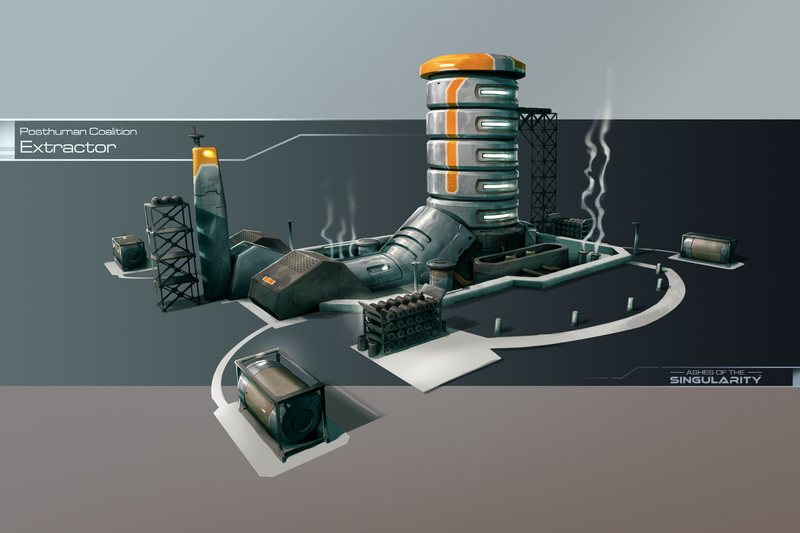 It can be found in the various regions you conquer, and you can double the deposit’s output by building a Metal Extractor on top of it. This is the raw fuel used for constructing most advanced units and buildings. It can be found in the various regions you conquer, and you can double the deposit’s output by building a Radioactives Extractor on top of it. 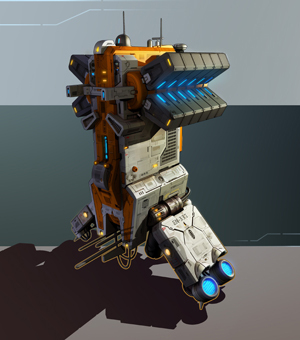 This artificial resource is produced by Quantum Relays and allows you to purchase lots of valuable upgrades. Quanta can be spent to increase your logistics (which determines how many units you are able to have at one time), metal storage, and radioactives storage. To make your armies more powerful, you can also spend quanta to upgrade weapons, unit health, and radar range. Some regions contain a Turinium Generator instead of metal or radioactives. These are important areas to capture and hold because they generate you victory points. Each map has a set amount of points necessary for victory; if you can accumulate enough before your opponents do, you will win the game. Once you’ve chosen a side (PHC or Substrate), you will start with a single headquarters called a Nexus and one construction unit (Engineer if you’re PHC, Constructor if you’re Substrate). The world is broken up into different regions, each of which have their own generator. These regions are guarded by neutral defenders, which increase in number as time goes on. You will want to make sure to send a small battalion of units to capture the regions surrounding your Nexus before the neutral defenders become too numerous. Your economy is driven by metal and radioactives, which you harvest from the various regions surrounding your Nexus. On their own, deposits produce (+1) resource per second; it goes up to (+2) resource per second if you build an extractor on top of it. To double the output of all resources within a region, build an amplifier. As you construct units and buildings, resources are subtracted from your inventory. Managing these resources is key to victory - you must be careful to ensure you aren’t overspending or wasting resources. Don’t forget that you can pay quanta for an upgrade that allows you to hold more metal or radioactives at one time. If you’re playing as the Substrate, you can easily prevent the waste of resources. They have a special feature that allows them to store unlimited metal and radioactives without having to use quanta to upgrade storage space. As you begin to build your stronghold, note that certain structures require that other things be built in order for them to become available. For example, you cannot build an “armory” for the PHC without first building a factory. Defensive structures that can combat both land and air strikes are highly advised, especially when you’ve got your armies out exploring and your base is a little more exposed than you’d like. Make sure to build up plenty of these all around your base -- an orbital nullifier doesn’t hurt, either! Several structures have “upgrade” options that, for a cost of radioactives and/or metal, will make them stronger and more effective against enemy attacks. While some upgrades are costly and not likely to occur until after you’ve stabilized your economy, you want to make sure not to forget about them! A few upgraded defensive structures could mean the difference between your base surviving a vicious bombing attack or being reduced to a pile of smoking rubble. There are a wide variety of units available to bolster the ranks of your armies, but which units you build depends entirely on your strategy (and your opponent’s strategy as well). Air units provide radar and visual coverage, bomb strategic targets, and maintain air superiority. 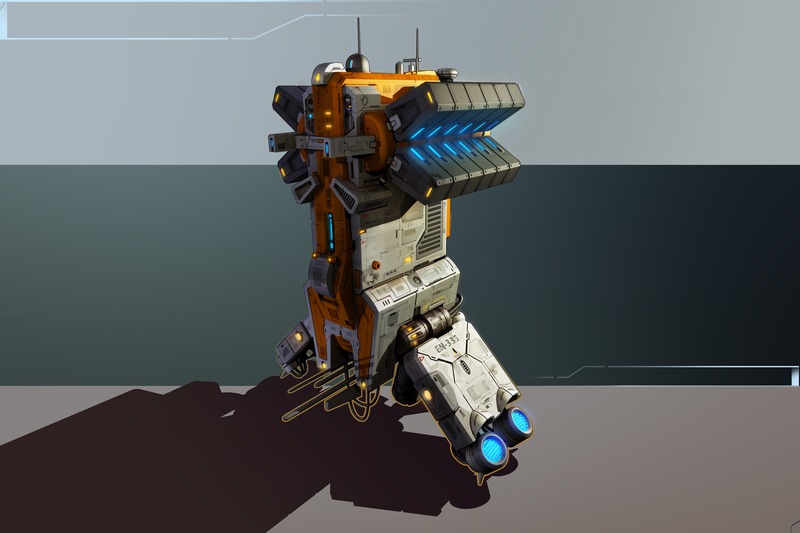 Ground units can be from small frigates to gigantic dreadnoughts. Because of the low gravity of the planets you’re fighting on, both sides employ units that hover, which allows them to navigate around each other in 3 dimensions. Units tend to be differentiated based on weapon range, rate of fire, and damage capability. Zoom out into a strategic map with the Global View feature and have optimum control over your armies and strategies. The map provides a comprehensive list of unit types, numbers, and groupings. It can also show you at a glance which regions your opponent controls and how your own supply lines are running (or not running, as the case may be). Ashes introduces the concept of a meta unit. When you form an army, all of the units within the army behave as if they are a single unit. Selecting one will select all of them. Each unit is aware of every other unit in its army and automatically engages enemies and protects allies based on the needs of the grouping. When you form an army, each child unit is effectively just part of a single big unit that can and should be controlled as such. Dreadnoughts are units you care about. As they survive battles, they gain experience that will allow them to level up and gain new abilities. A high level dreadnought may be substantially more powerful than one that has been newly produced. Hence, if one is in trouble, you will want to protect it. One of the most effective ways to support your armies as they lay siege to your opponents is to make use of the game’s orbital abilities. With orbitals, you can do many things to help your armies - for example, you can call down an Engineer or Constructor anywhere on the map that’s convenient. This saves a lot of travel time from having to move them from the Nexus. To win, destroy all enemy Nexuses or reach a critical mass of Turinium. If you are on a team and one of your teammates destroys a Nexus or achieves the necessary amount of Turininum, you still win! Remember to protect your Nexus at all costs. If your Nexus is destroyed at any point, you are eliminated from the game.